What’s the cost of homeschooling? There’s no right or wrong answer to that question. The numbers vary widely between different homeschool families. Homeschooling can cost as much or as little as you want to spend. There are many frugal resources available to homeschoolers from finding resources online to using your local public library. 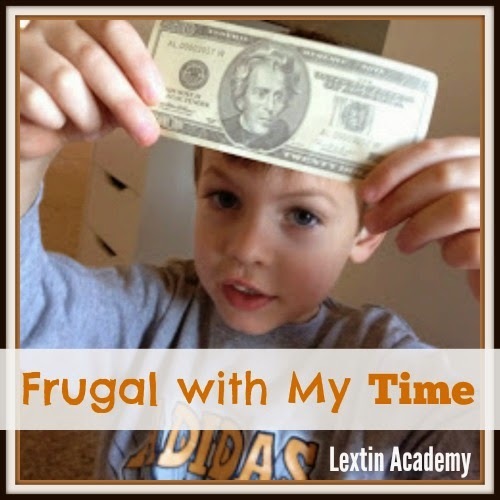 Does frugal and homeschool go together? It certainly can. Can you even homeschool for free? Yes, you can. But my question is, do you want to? I’ve found that I can spend many hours pulling together my own materials, organizing my own studies, compiling my own booklists, searching for free printables, and tweaking to my little heart’s content. However, when I look at the time I spend to find those frugal or free resources, I wonder if it’s even worth it for me. What is my time really worth? With some resources you get what you pay for with regard to content and organization. I’ve found that it’s best for me to be an informed consumer rather than simply focus on the most frugal options for me. It’s been worth it to pay some money up front for well-organized, well-planned, easy-to-use resources that save me time. I’d rather spend my spare time with my children than compiling resources to round out our studies. When I’m searching for homeschool curricula, I look for things that can be used with multiple children. I love programs that have non consumable parts – this means that I can use the program time and time again. With 5 kids, I will get my money’s worth! I also look for things that can integrate children. I try to combine my children in subjects to cut down on the number of different resources I need to purchase and the amount of time I spend teaching. I would rather pay for the convenience of having well-organized resources with non consumable supplies that allow me to teach my children together and reuse resources. At my house, time is money! So, when I think of frugal homeschooling resources, I don’t think about finding the least expensive resources – I’d rather be frugal with my time than with my pocket book. My time with my family is most valuable to me. Read other frugal tips from the Homeschool Crew on the Blog Cruise! Thanks for sharing those links 🙂 Some are new to me. Great post! "Non-consumable" is one of my all-time favorite homeschool words! 😉 I agree it's often been worth it to spend a bit of money on a resource that I could have put together on my own, because it saved me the time and headache of reinventing the wheel! This is surely the way to go in homeschooling! Love it! Great links. I am adding a few to my favorites! I've decided that at this point in our journey (with all my little people) it pays off to be frugal with my time and use things that are easier to use and more user-friendly. There are so many great resources out there and it's worth it for me to pay to find ones that are well-organized. I don't have time to hunt down the least expensive or bargain shop right now.